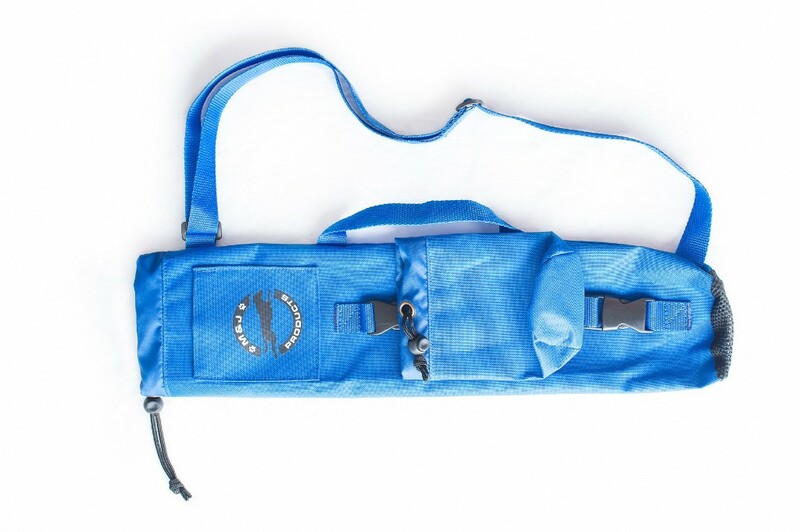 My name is Jenny, designer and distributor of the Ball Thrower Bag. I have personally experienced the everyday juggle that involves balls, dogs and exercise time, let me make this part of your life easier and more enjoyable for both you and your dog(s). 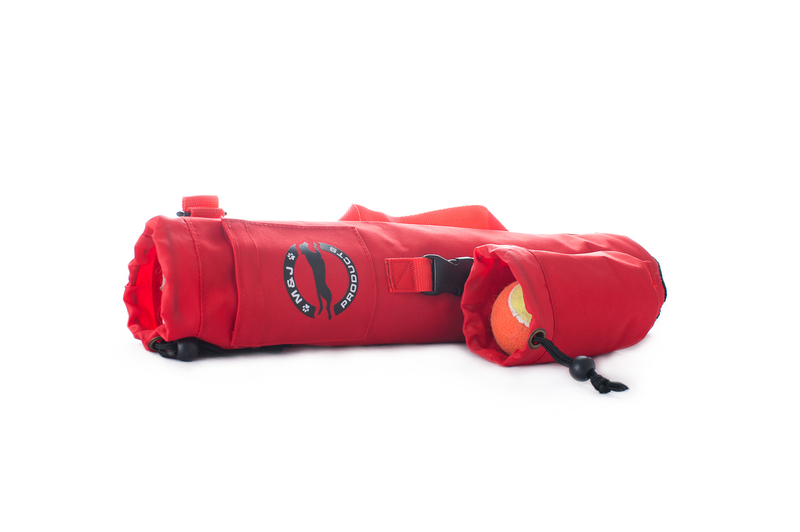 The new Ball Thrower Bag is designed to carry a ball thrower plus there is a small pocket for keeping new poo bags in and a larger pouch for holding two additional tennis balls. 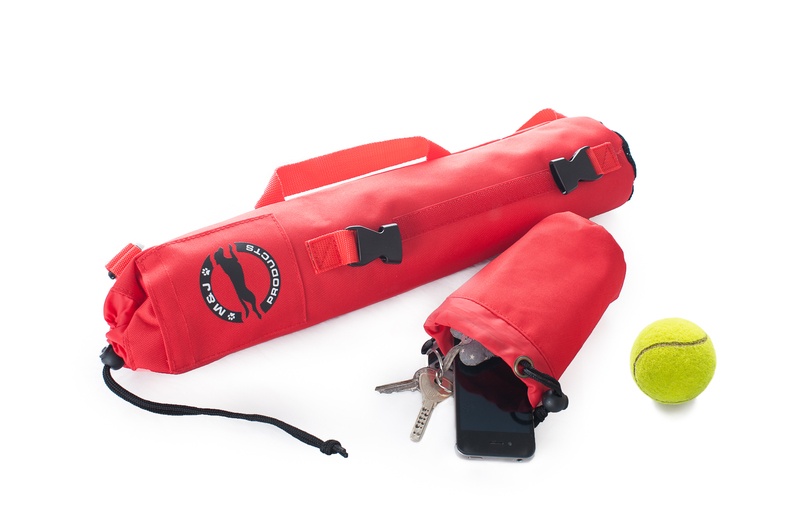 The pouch is flexible, it can be unclipped and turned upside down so in wet weather the tennis balls stay dry; in the Summer it is ideal for carrying your mobile phone and keys etc, if no spare balls are needed. The bag has a mesh base so water can drain out. 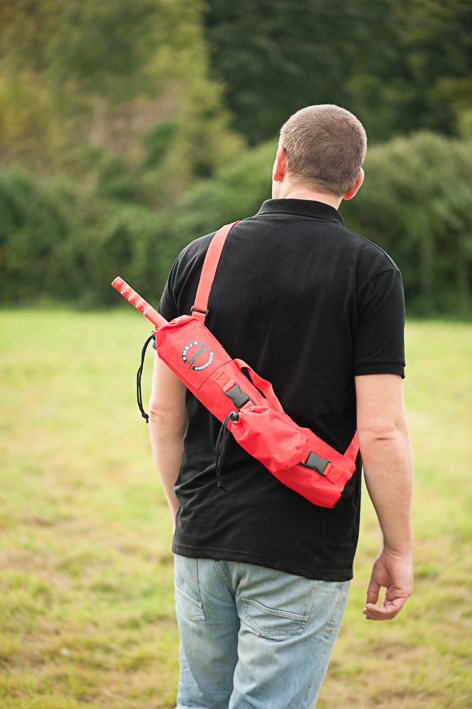 Comes in red or blue, the main bag is 50cm long by 10cm diameter. over the shoulder or in the hand. 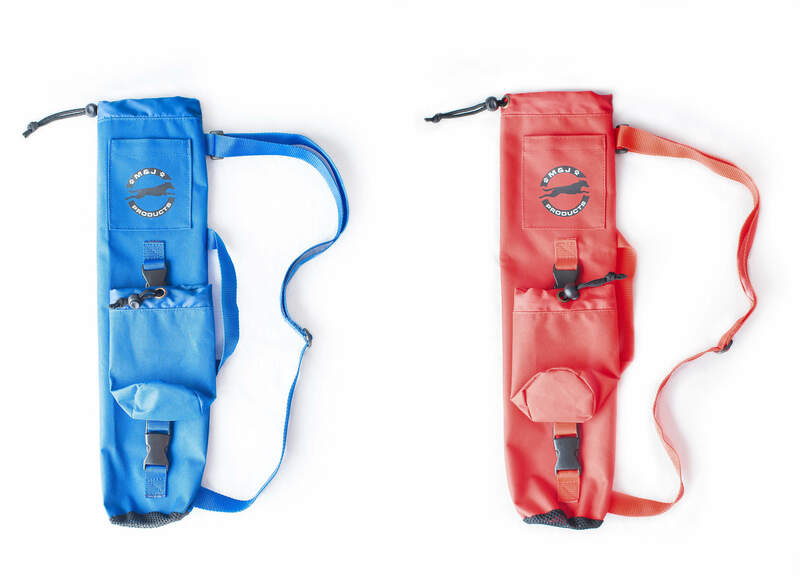 Ball Thrower Bag in your choice of red or blue delivered to your door. Orders can be placed below using the "Add to Cart" button or on eBay. 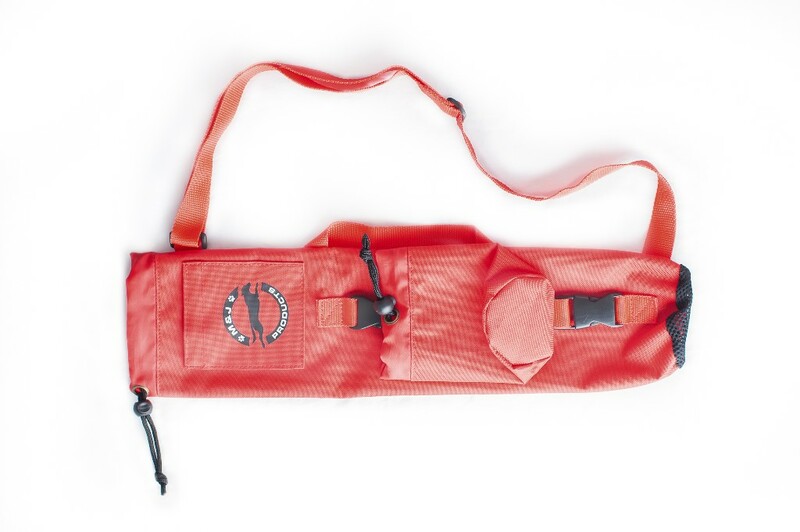 The Ball Thrower Bag will then be dispatched within three working days. I am also more than happy to answer any questions you may have, please email me using this form or via my address below. Rosie Lander is a mature woman who has been around dogs for most of her life. She enjoys agility with her dogs - not always successfully but she has a fun walk. She also likes walking and has just started Rally Obedience with her youngster. She lives in Glastonbury, Somerset. Now that her children have grown up, the dogs (and husband) make her home complete. I have two active Spaniels - a 9 year old Springer and a 3 year old Working Cocker whose favourite activity are chasing after balls on our local beach and eating - or a combination of both! 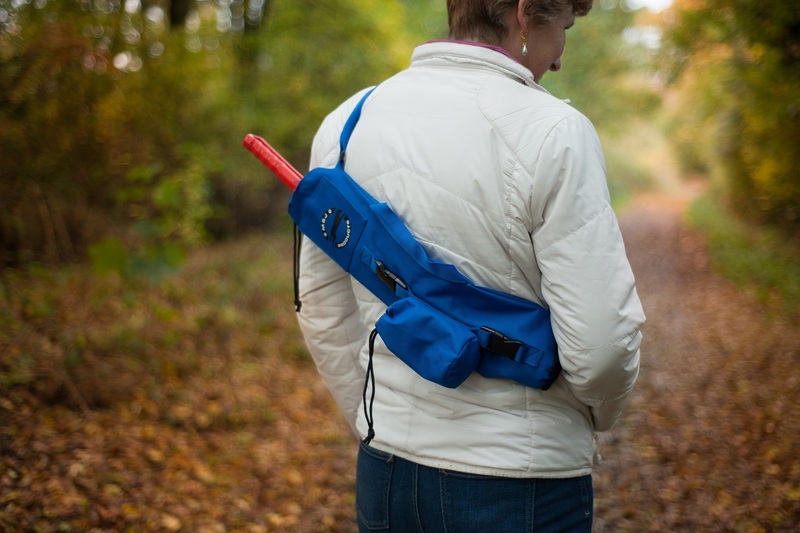 I have been using the bag whilst out on walks and found it a good way to keep all the equipment together thus leaving my hands free. 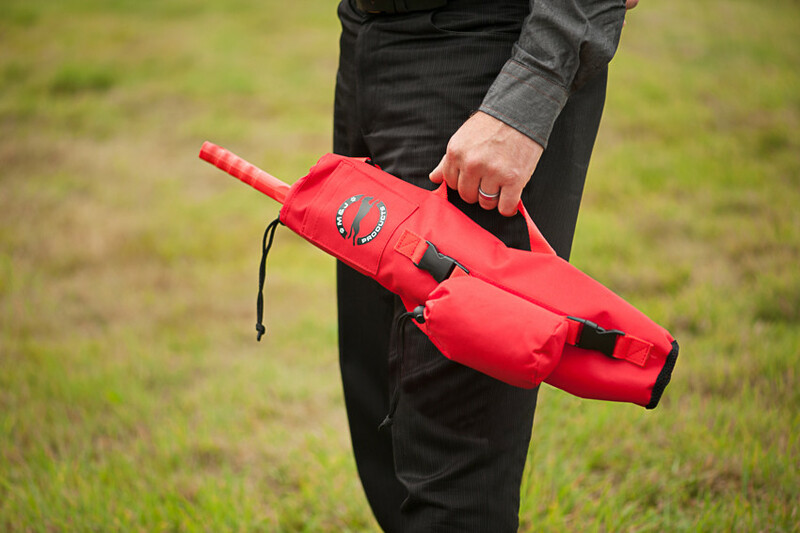 It is comfortable and easy to carry and leaves your hands free, if you use the adjustable strap. It's a convenient way to transport the launcher with room for spare balls, treats and poo bags. I particularly liked the detachable pocket which doubles as a treat bag. It keeps everything together in one place. 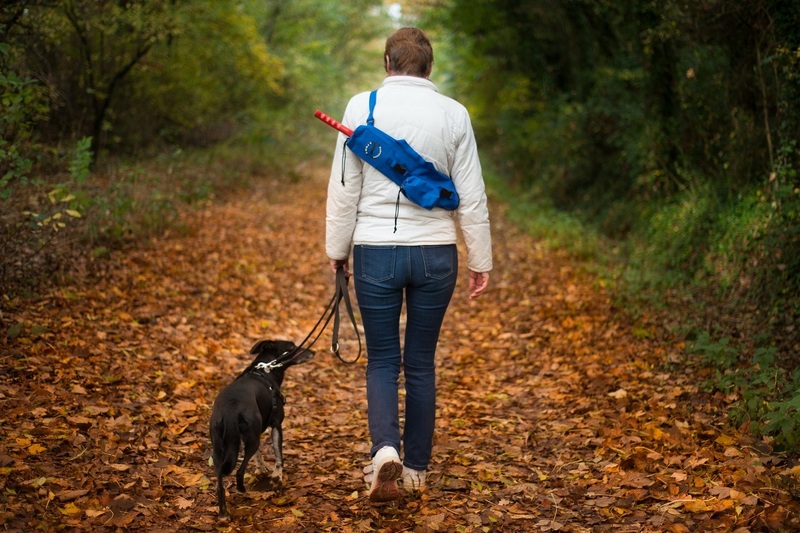 My dogs are very ball focused when out and, by using the bag, I was able to choose when we play as I could remove the balls and launcher from their sight without getting sand in my pockets! And, as a bonus, it keeps the car boot tidy. I am not sure about the Velcro on the small pocket. If you have larger hands, it makes it fiddly to use it. The product is self-explanatory but it did come with useful washing instructions. It is a well thought out and practical design. The bag is well made with a good quality fabric. This is a good value product and I would recommend it to anyone who uses a ball thrower with their dogs.